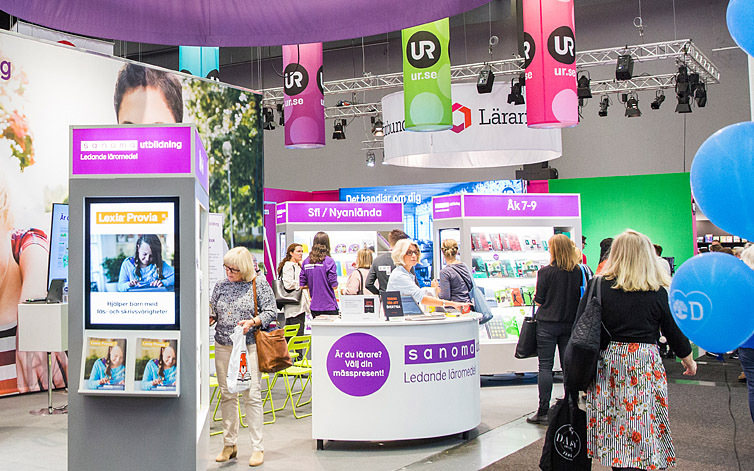 ‘Why should I secure an exhibit at the Göteborg Book Fair?’ Maybe you have heard about us but never visited the Fair. The Göteborg Book Fair is the largest meeting place in the Nordic countries for the written word and its scope is its greatest strength. It is a festival of literature and an industry fair at the same time. If you want to launch a new book then you have the chance to meet 90,000 book-lovers over four days. Do you want to sell your product to a supplier? Then it is very likely you will meet your partner here. The entire industry will be on site – virtually all Swedish book publishers gather here under the same roof as library representatives, government authorities, the public sector, universities, companies aimed at the book trade, the graphic design industry and prominent figures from the world of digital publishing. Moreover, the Book Fair houses the media, public opinion leaders, literary societies, cultural institutions and NGOs tied to international and Swedish societal issues. Here you can meet anyone you want to meet! Whether it is a matter of selling products, advanced education and training, spreading the word, building your brand, meeting B2B, creating informal meeting opportunities or monitoring of international events. Please contact us if you wish to know more! Or book your stand right away.